AAMCO is offering Total Car Care services from tune-ups, oil changes, A/C, and brake repairs to fixing transmissions. The average customer ticket for Total Car Care services is $826. AAMCO franchise owner Joe Zambri has watched as his Toronto, Canada, business has gained a new revenue stream, diversified it’ customers and grown slowly and steadily — all from his offering Total Car Care services. Beginning in the early 2000s, AAMCO began offering not only transmission repairs, but also Total Car Care. This diversified strategy has allowed franchisees to capture a bigger part of the general automotive repair market. The average consumer spends $790 a year per vehicle on repairs, according to Consumer Reports. Since 2014, 60 percent of AAMCO customers visited franchises for Total Car Care services. 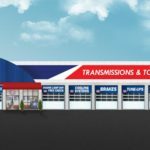 Prior to offering Total Car Care, customers would have spent a one-time charge of about $2,500 to have their transmission rebuilt. Now, AAMCO is able to gain more repeat customers’ business by offering routine services like tune-ups, oil changes, A/C repairs and other services. The average customer ticket for Total Car Care services is $826. AAMCO is the leader in the $5 billion transmission repair industry. Franchisees can feel secure that they already have that major revenue stream — transmission repair — that they can rely on while building their Total Car Care services. AAMCO franchisees also have the perk of local referrals — many repair shops don’t work on transmissions, so they send them to AAMCO. 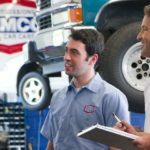 When those customers realize they can also get their other car maintenance done at an AAMCO franchise, they are likely to stop going to two places for car repair. According to Automotive Digest, no brand owns more than a 10% share of the overall automobile repair market. By 2018, AAMCO wants to be known as an industry specialist not just in transmissions, but for just about any general vehicle repair. To do this, AAMCO has rolled out their “Trust” campaign in national and local markets to build customer awareness of everything they offer. AAMCO is well known for the intensive coaching and training that they provide AAMCO franchise owners. 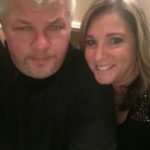 Lou Fizzarotti and his wife, Ruth, have owned their AAMCO franchise in Jersey City, New Jersey, since 1979. Lou says his business draws 50 percent of its revenue from transmission repair and 50 percent from Total Car Care. 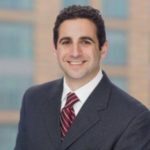 “AAMCO always has a lot of training,” said AAMCO franchise owner Lou Fizzarotti — and he has enthusiastically taken part in it. Franchise owners are continually coached and trained to ensure the success of their locations. AAMCO provides training at their Atlanta-based AAMCO University. Owners also receive ongoing service and support. AAMCO provides updated systems and best practices, which are vital to succeeding in the dynamic, fast-paced field of aftermarket auto maintenance and repair. An addition bonus is that AAMCO has partnered with a their sister brand Global Powertrain Systems (GPS), to develop a remanufacturing facility that allows franchisees to have immediate access to a vertically integrated supply chain with preferred pricing on their core transmission category. Franchisees have the option to purchase high-quality, remanufactured transmissions from GPS with better warranties and faster turnaround times. This helps franchisees keep their costs low and focus on growing their business in the Total Car Care market. To learn how to get your own AAMCO total car care franchise, download our free franchise information report or go to aamcofranchises.com.